Our office hours are Tuesday - Friday 8:00 a.m. - 4:30 p.m.
Avana Homes is a Saskatchewan based custom home building company. We are a young, innovative, hands-on developer with an educated team of employees, local tradespeople and suppliers. Our mission is to build superior quality homes while providing exceptional customer service. 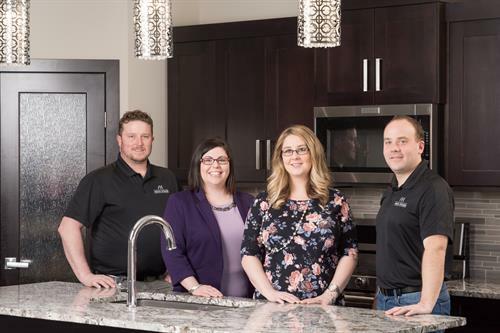 Avana Homes is a member of the Saskatchewan New Home Warranty Program, The Regina & Region Home Builders Association, The Regina and District Chamber of Commerce and the Better Business Bureau of Saskatchewan. Avana Homes is accredited as a Certified Professional Home Builder. We understand the impact that our business has and can have on the local community and we strive every day to make that impact positive. Avana Homes is a leader amongst our peers in demonstrating social responsibility. Our passion is building dream homes to the highest standard. Our team at Avana Homes ensures that every client has a wonderful, positive and memorable experience. We understand that building a new home can be overwhelming and stressful, but it doesn’t have to be that way. By working with Avana Homes, you can be assured your satisfaction is top priority. From the early stages of design right up to handing you the keys, our team of experts will work with you every step of the way to make your dream home become a reality. We are located at #800 162 Husum Road.